Dance, the ephemeral art form, arguably only meaningful in the passage of time. And yet, "A Slice in Time" is about a group of photographers attempting the impossible: capturing the essence of movement in a still image. This exhibition offers an intimate look at dance performance photographs and photographic collaborations, by established dance photographers Robin Chee, Matthew Johnson, Tan Ngiap Heng and Bernie Ng. The showcase of about 100 images features Singapore dance productions and visiting dance companies. Beyond the exhibition, audiences can also take part in related activities during the weekend of 8 and 9 October. Photography enthusiasts can get hands-on through a dance photography workshop. Hear from the featured photographers as they share about their inspirations and creative process. Catch dance performances by independent dance artists. Budding dance photographers can even participate in the Got to Move Dance Photography Competition, and stand to win attractive prizes. Got to Move is the first nationwide dance movement organised by the National Arts Council (NAC) to celebrate the diversity of dance in Singapore. An annual event in Singapore’s arts calendar, Got to Move aims to ignite Singaporeans’ interest in dance and to deepen their appreciation of the art form. It is a national platform to bring together Singapore’s dance scene – professionals and enthusiasts – and to showcase their talents and works to a broad audience. 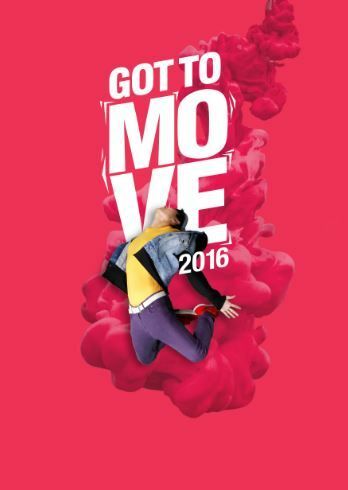 For more information on Got to Move, visit our official Facebook page at https://www.facebook.com/gottomovesg. The National Arts Council champions the arts in Singapore. By nurturing creative excellence and supporting broad audience engagement, we want to develop a distinctive global city for the arts. With a nod to tradition and an eye to the future, we cultivate accomplished artists and vibrant companies. Our support for the arts is comprehensive – from grants and partnerships to industry facilitation and arts housing. The Council welcomes greater private and corporate giving to and through the arts so that together we can make the arts an integral part of everyone's lives. For more information on the Council's mission and plans, visit www.nac.gov.sg.